Can you guess what Disney sells 1 million of every year? 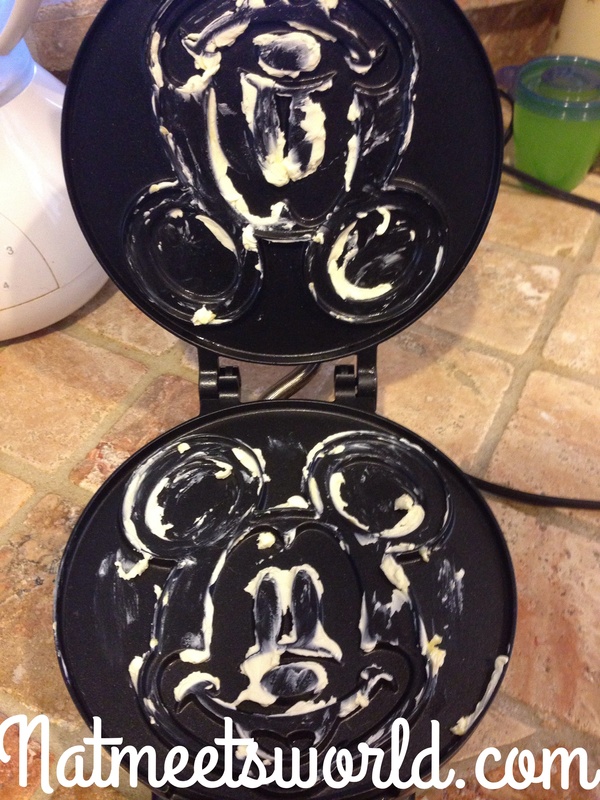 OK, I won’t make you guess (drum roll, please)……..Mickey waffles! 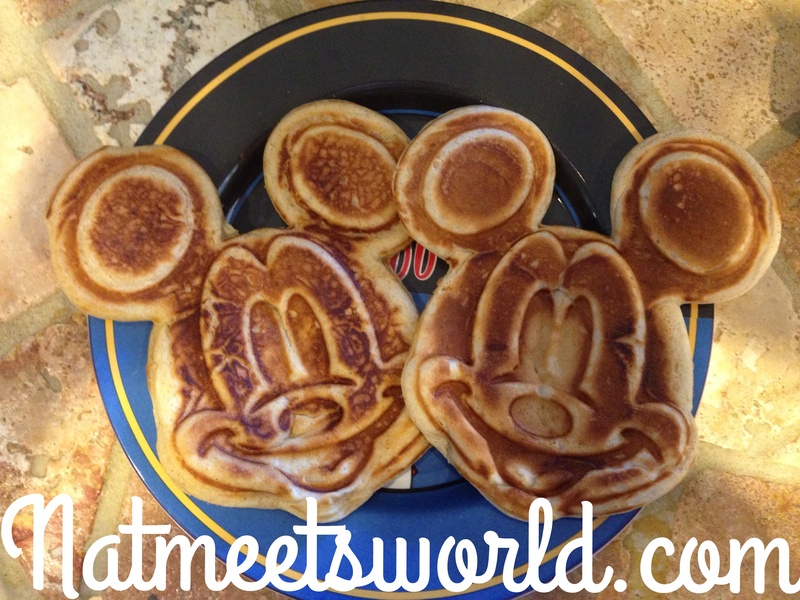 Mickey waffles are a hit no matter where you get them on Walt Disney World Property. These iconic waffles bring a smile to the face of anyone who indulges in the fluffy goodness they offer. I always look forward go stuffing my face with a waffle every time I visit. I recently had a craving for Mickey waffles, and decided, if I can’t go to the waffles, I will bring them to me instead. 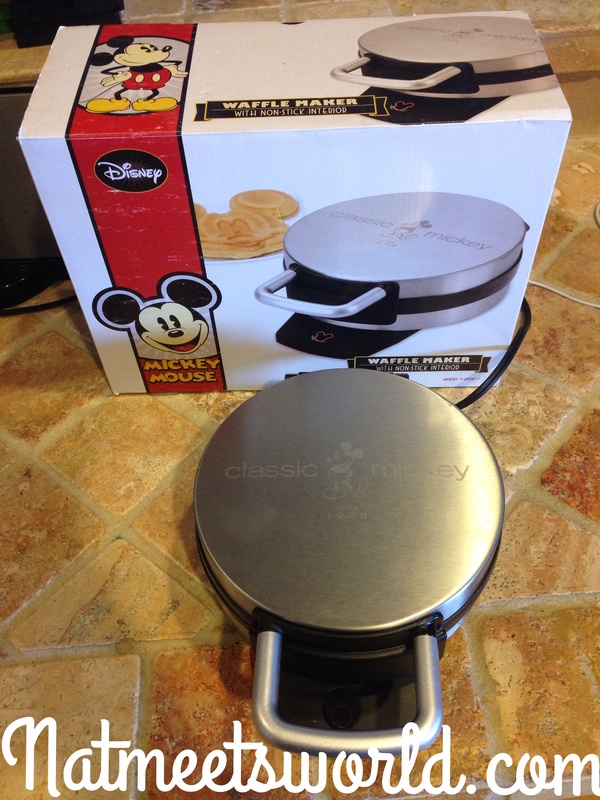 I purchased an adorable Mickey waffle Maker on Amazon for about $20 (picture below), and then used my favorite pancake recipe as my guide. 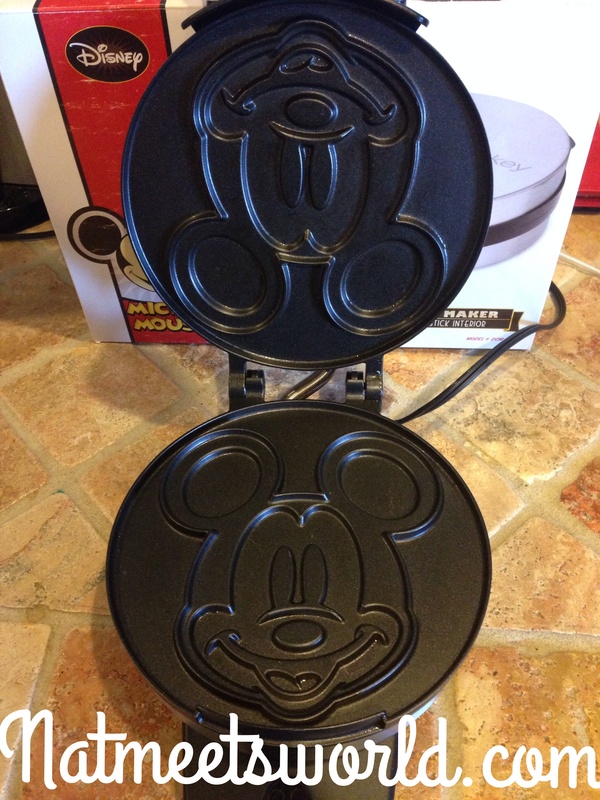 Top of the Mickey waffle maker. This is the inside of the waffle maker. If you have ever had a Mickey waffle, you will notice they have a unique and delicious taste to them. They are very fluffy and sweet, unlike a standard waffle or pancake. So, what’s the secret? 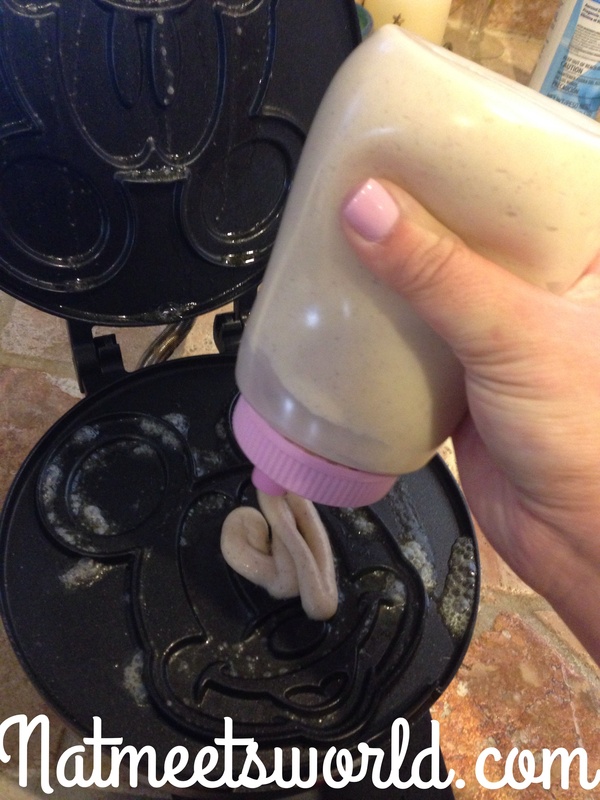 Disney uses a special flour in their waffles! 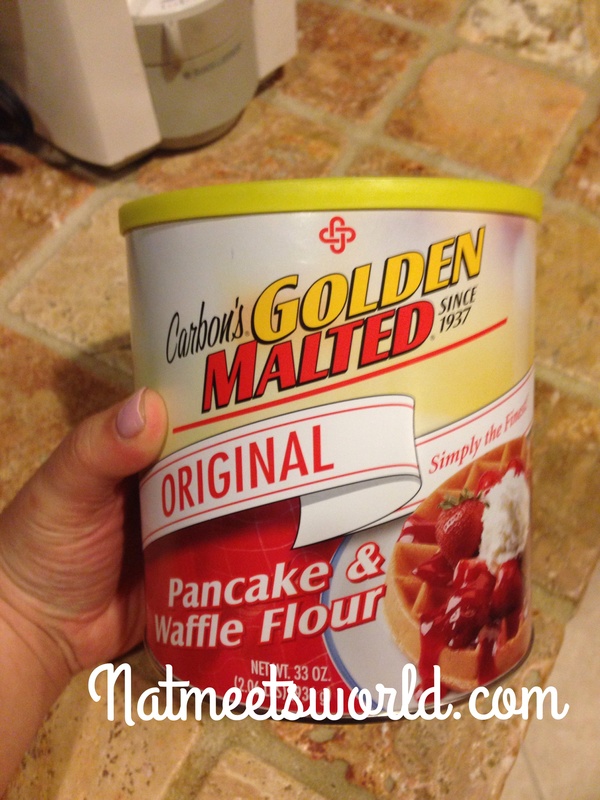 Carbon’s Golden Malted Pancake and Waffle Flour is the key ingredient to making your waffles taste just like the ones sold in the happiest place on earth! (I purchased two 33 oz. cans of this from chefs.com for about $20). 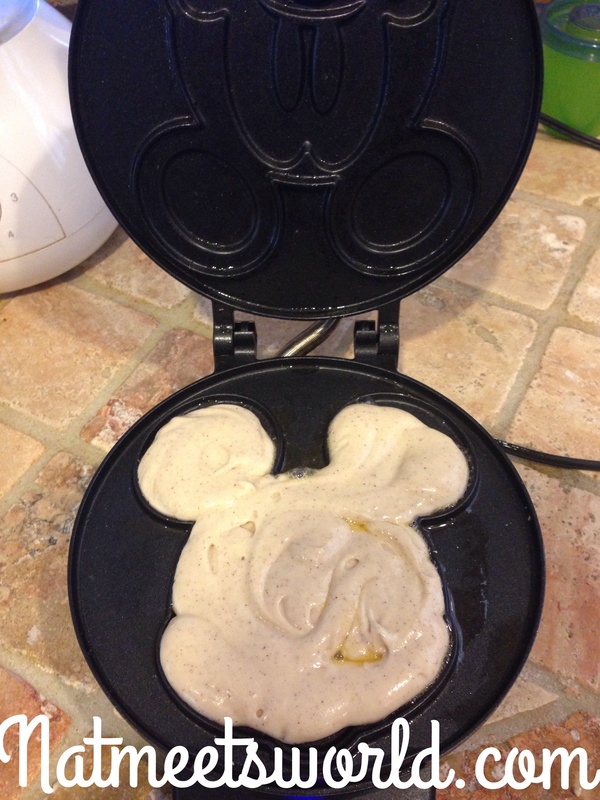 If you don’t have the Carbon’s flour, you can still use my fluffy pancake recipe with your Mickey Waffle maker. Using this waffle maker can be very messy if not done correctly. I have learned some tips and tricks after using it several times that I am sharing with you today to create the cutest (and tastiest) waffles. Let’s get started! 1. Mix vinegar with milk in a medium bowl to ‘sour’ and set aside. 2. 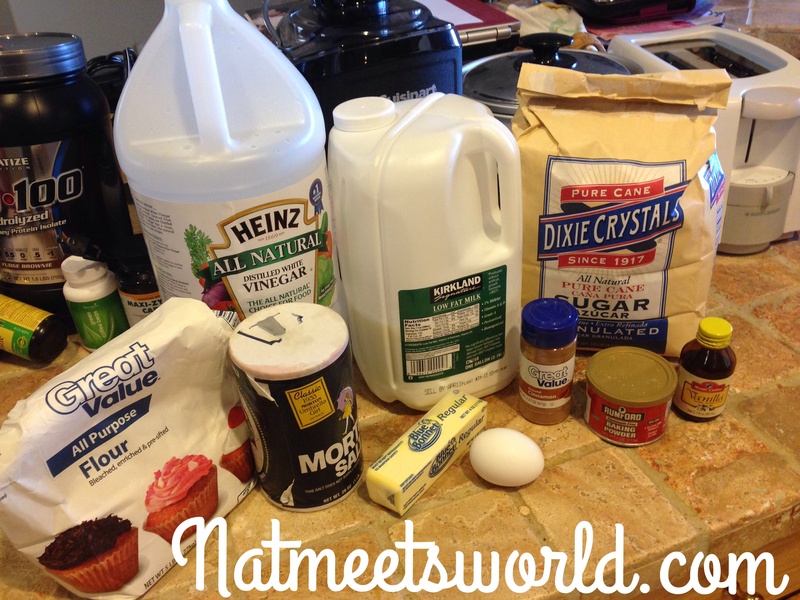 Combine all ‘dry’ ingredients (flour, baking powder/soda, sugar, salt, cinnamon) in a large bowl. 3. Whisk egg, vanilla, and butter in bowl with milk mixture well. 4. Slowly pour wet ingredients into dry ingredients bowl. Make sure all lumps are gone. 5. 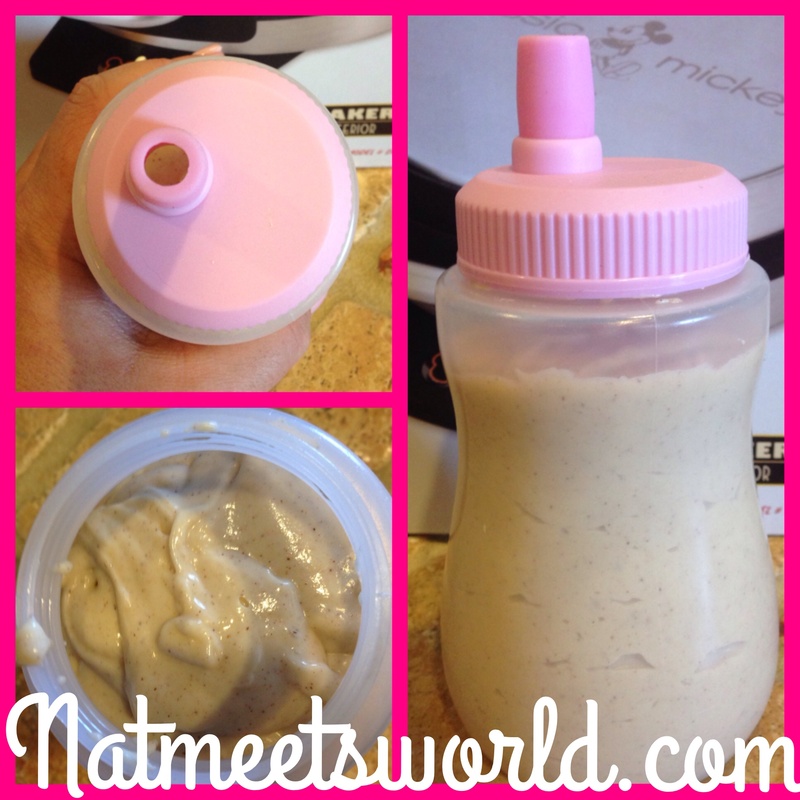 Use a special pancake/waffle batter dispenser to pour and hold your batter. I found mine at Walmart for $5. This tool is essential for no mess cooking. I can’t tell you how much easier it is to use this tool (pic below)! 6. Plug in your waffle maker and use a pastry brush to cover both sides of the waffle press (below). 7. Once the waffle maker heats up, the light will turn red. You can start to see the butter melting. 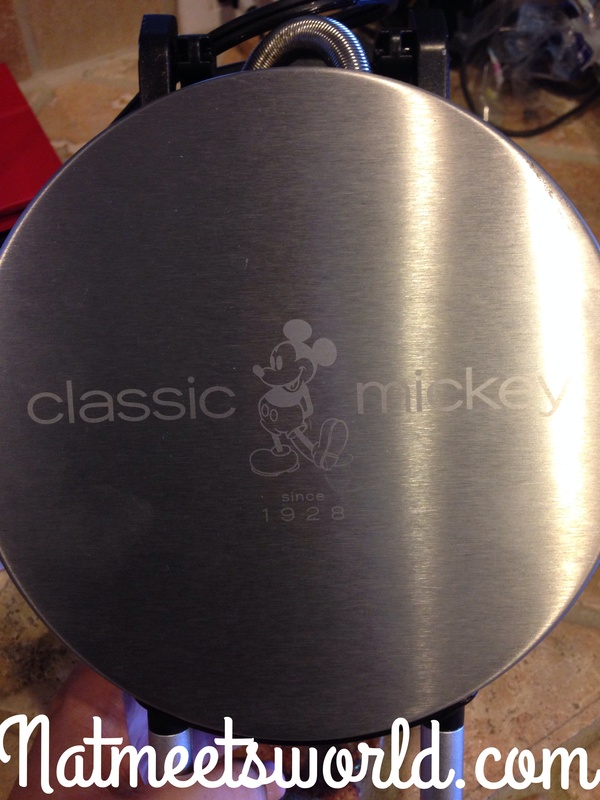 Start pouring the batter into the Mickey silhouette on the bottom skillet. Be sure not to overfill the silhouette to avoid over spilling. You will want to almost fill it all the way to the top in order to ensure proper cooking (pic below). This is what your silhouette should look like once it is completely filled with batter. 8. 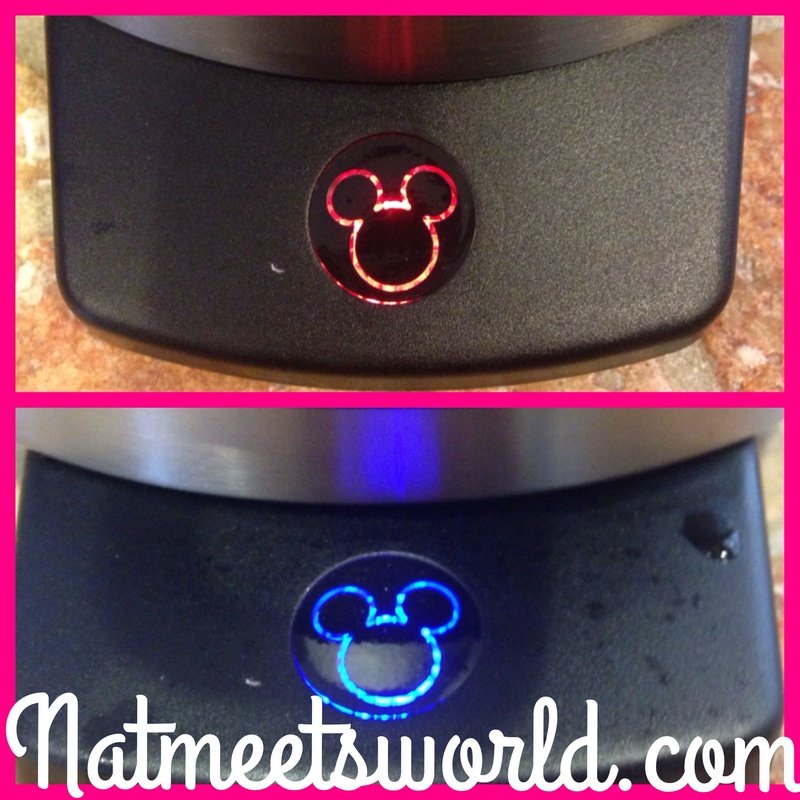 Close the waffle maker, and wait until the mickey logo light changes from red to blue. The blue light indicates your pancake/waffle is ready (pic below). 9. Remove your pancake from the iron plate, top with your favorite pancake syrup, and enjoy! If you are making more than one pancake, you can brush butter on it again to prepare another one. Follow steps 6-9 for this. For the healthy love bugs out there, you can use almond milk and whole wheat flour as a substitute. You can also use agave syrup instead of regular maple syrup to spare you the calories! These have more of a pancake consistency rather than a waffle consistency like the ones served on Disney property, however, they taste just like them because of the flour. Let me know how your pancakes come out, or if you have any questions! « Sloan’s Ice Cream Is The Best in Town!